December 26 – The Chargers filled their empty vacancy on the practice squad by signing LB Tyrone Holmes. A 6-2, 253-pound product out of Montana, Holmes played in 15 games for the Cleveland Browns from 2016-17, totaling nine tackles and one sack. December 20 - Los Angeles made a switch at defensive end two days before kicking off against the Baltimore Ravens, promoting Anthony Lanier to the active roster from the practice squad while waiting Chris Landrum. Lanier has proven capable of getting after the QB in the NFL, recording 5.0 sacks in 11 games a year ago for the Washington Redskins. December 18 – The Bolts filled a vacancy on the practice squad by signing defensive back Arrion Springs. The rookie originally signed as an undrafted free agent with the Kansas City Chiefs and spent time on their practice squad as well as the Browns, Saints and Raiders’ practice squads this season. The 5-10, 208-pound former Oregon Duck finished his college career amassing 137 total tackles, 44 passes defensed, three forced fumbles, two sacks and two interceptions. December 14 - The Bolts signed LB Tre'Von Johnson to the practice squad one day after waiving him from the active roster. December 13 - Mere hours before kicking off against Kansas City, the Chargers announced several transactions, highlighted by Trevor Williams landing on the Reserve/Injured list with a knee injury. It's been an injury-plagued campaign for Williams, who was first hobbled during training camp after tweaking his ankle. Meanwhile, the team promoted RB Troymaine Pope and LB Kyle Wilson to the active roster from the practice squad while waiving LB Tre'Von Johnson. December 5 - A familiar face returns to the Bolts as the team signed WR Justice Liggins to the practice squad. The 6-1, 209-pound wideout out of Stephen F. Austin St. spent the offseason in L.A., appearing in three preseason games with one reception. Liggins caught 102 passes for 1,166 yards and eight touchdowns during his collegiate career. December 3 – Sixth-round draft pick Dylan Cantrell was promoted to the active roster after spending the first 13 weeks on the team's practice squad. He takes the spot of T Joe Barksdale, who was waived after appearing in 48 games over four seasons with the Bolts. November 28 – The Chargers made a switch to the practice squad on Wednesday, signing RB Troymaine Pope and waiving LB Jonathan Celestin. A 5-9, 205-pound running back out of Jacksonville State, Pope has spent time with the Seattle Seahawks, New York Jets, Indianapolis Colts and Houston Texans. He’s appeared in four career games, toting the rock 12 times for 44 yards, averaging 3.7 ypc., along with one reception for five yards. Pope has spent most of his time in Seattle as he’s had three stints with the Seahawks. He most recently spent time on the team’s practice squad before being waived on Nov. 20. November 21 - L.A. placed DT Corey Liuget on the Reserve-Injured list after he suffered a knee injury in the Week 11 game against the Denver Broncos. In a subsequent move, the team claimed DT T.Y. McGill off waivers from the Philadelphia Eagles. McGill spent the first four weeks of the season with the Bolts before being waived to make room for Liuget’s return to the active roster. 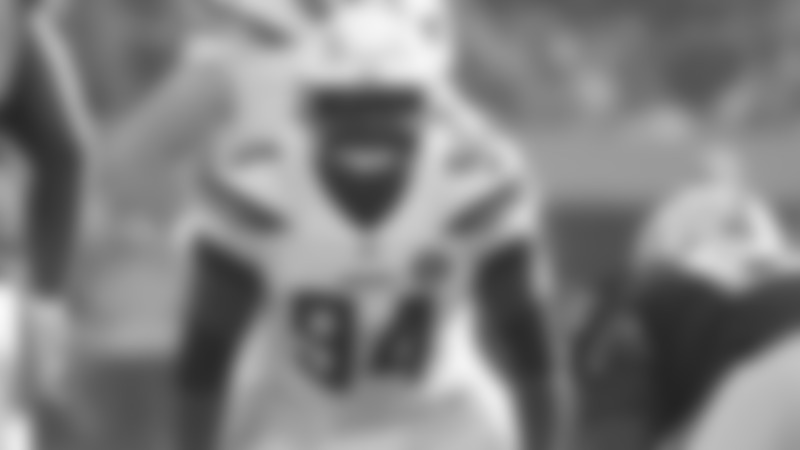 November 13 - The Chargers made a flurry of roster moves on Tuesday by signing LB Tre'Von Johnson to the active roster while placing Denzel Perryman on the Reserve/Injured list. Johnson most recently spent last month on the Chargers' practice squad. Additionally, the Bolts filled the newly-vacated spot on the practice squad by inking linebacker Jonathan Celestin. November 7 - Two vacancies on the practice squad were filled Wednesday morning when the Chargers signed DE Anthony Lanier and LB Kyle Wilson. November 5 - The Los Angeles Chargers made a change at kicker signing Michael Badgley to the active roster from the practice squad while releasing Caleb Sturgis. Badgley spent two weeks with the Bolts earlier this season while Sturgis was sidelined with a quad injury. He kicked in the team’s wins over the Cleveland Browns and Tennessee Titans, making all three of his field goal attempts. November 3 - The Bolts announced a roster move shortly before heading to the Pacific Northwest to take on the Seattle Seahawks, placing rookie linebacker Kyzir White on the reserve/injured list and signing cornerback Jeff Richards to the active roster. White appeared in the team's first three games before missing the next four with a knee injury. Meanwhile, Richards has spent most of the past two seasons on the team's practice squad. October 31 - One day after being waived from the active roster, kicker Michael Badgley returned as a member of the practice squad. The team had a vacancy on the 10-man unit since Detrez Newsome was promoted to the 53-man roster the day before the Week 7 win over the Tennessee Titans. October 30 - A familiar face returns to Hoag Performance Center as the Chargers re-signed Hayes Pullard. The linebacker appeared in 13 games last year for the Bolts with 10 starts. To make room, the Bolts waived Michael Badgley, who served as the team's kicker for two weeks while Caleb Sturgis was sidelined with a quad injury. October 20 - With running back Melvin Gordon listed as questionable with a hamstring injury, the Bolts promoted RB Detrez Newsome from the practice squad to the active roster. The undrafted free agent out of Western Carolina spent the first three weeks of the season on the 53-man roster, but was waived and subsequently signed to the practice squad to make room for RB Justin Jackson. In a corresponding move, L.A. waived LB Emmanuel Ellerbeee in order to add Newsome. October 11 - Another kicker is on the active roster as the Bolts signed Michael Badgley on Thursday. A standout in college from 2014-17 for the Miami Hurricanes, Badgley spent the offseason with the Indianapolis Colts as an undrafted free agent. 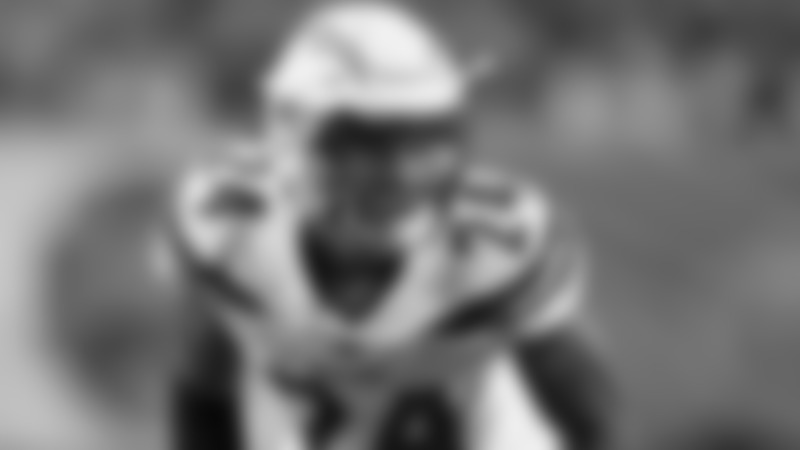 The Bolts inked him after Caleb Sturgis popped up on the injury report Wednesday as limited with a quad injury. To make room, the Chargers waived wide receiver and return specialist JJ Jones. October 9 - The Bolts added a new pair to the practice squad, bringing back CB Jeff Richards in addition to a new face in LB Tre'Von Johnson. The team also waived CB Channing Stribling and OT Jamar McGloster in corresponding transactions. October 6 - DT Corey Liuget is officially back as the Bolts lifted his roster exemption on Saturday and added him to the active roster. The 28-year-old is set to make his 2018 debut after being named a Pro Bowl alternate a year ago. To make room, the team waived DT T.Y. McGill. October 2 - The Bolts shook up their special teams unit heading into Week 5, signing veteran punter Donnie Jones while waiving Drew Kaser. The 38-year old Jones enters his 15th season after capturing a Super Bowl ring last year with the Philadelphia Eagles. He announced he was hanging up his cleats earlier this offseason, but decided to return to the league and join the Chargers. In addition, L.A. announced they've signed massive offensive tackle Jamar McGloster to the practice squad and waived DT Steven Richardson. October 1 - One of the Chargers' top defenders is back at Hoag Performance Center as DT Corey Luiget returned following his four game suspension. The team has been granted a roster exemption by the commissioner, so he does not currently count against the 53 man limit. September 25 - Two new additions are joining the Chargers practice squad as the team signed TE Vince Mayle and RB Detrez Newsome. Mayle is a former wide receiver who has appeared in 23 career games for the Dallas Cowboys and Baltimore Ravens. Meanwhile, Newsome returns to the Bolts after being waived from the 53-man roster on Monday. In addition, the team announced that they waived TE Thomas Duarte from the practice squad as well. September 24 - L.A. made a running back switch on Monday, signing Justin Jackson to the active roster while waiving Detrez Newsome. September 18 - The Bolts filled their vacancy on the practice squad by signing guard Spencer Drango. The 6-6, 315-pounder appeared in 32 games with 19 starts for the Browns after being selected in the fifth round (168th overall) in the 2016 NFL Draft. September 15 - Los Angeles promoted offensive tackle Trent Scott to the active roster. Scott, an undrafted rookie from Grambling State, was signed by the Chargers last May. In a corresponding move, the team placed cornerback Craig Mager on injured reserve. September 4 - After being waived one day prior to make room for TE Antonio Gates, the team brought back RB Justin Jackson by signing him to the practice squad. September 3 - The Chargers continued to make roster moves on Monday, officially signing TE Antonio Gates to the active roster. To make room, L.A. waived running back Justin Jackson. In addition, the Bolts added two players to the practice squad - one old and one new - in QB Cardale Jones and TE Thomas Duarte. September 2 - It was quite a day for the Chargers, beginning with the early morning announcement that the team agreed to terms with Antonio Gates. The legendary tight end is returning for his 16th season. In addition, the Bolts claimed LB Emmanuel Ellerbee and DT T.Y. McGill off waivers while parting ways with QB Cardale Jones and LB Hayes Pullard. In addition, the team announced the first seven members of the practice squad: DE Patrick Afriyie, T Trent Scott, WR Andre Patton, WR Dylan Cantrell, LB D'Juan Hines, DT Steven Richardson and S A.J. Hendy. September 1 - The Bolts announced the following moves in order to trim the roster down to the mandatory 53-man limit. Waived: DL Patrick Afriyie, K Roberto Aguayo, TE Braedon Bowman, CB Tony Brown, WR Dylan Cantrell, CB B.J. Clay, LB Kyle Coleman, OL Chris Durant, CB Marcus Edmond, OL Zack Golditch, TE Je’Ron Hamm, S Micah Hannemann, DL Marcus Hardison, S A.J. Hendy, LB D’Juan Hines, DL Bijhon Jackson, TE Ben Johnson, WR Justice Liggins, FB Anthony Manzo-Lewis, WR Andre Patton, OL Spencer Pulley, CB Jeff Richards, DL Steve Richardson, DL Whitney Richardson, OL Trent Scott, QB Nic Shimonek, WR Nelson Spruce, CB Channing Stribling, P Shane Tripucka, RB Terrell Watsonand OL Erick Wren. Waived/Injured: OL Brett Boyko,RB Russell Hansbrough, TE Cole Hunt. Reserve/Injured: WR Artavis Scott. Reserve/Physically Unable to Perform: TE Hunter Henry. August 28 - Los Angeles worked the waiver wire on Tuesday, claiming former fourth-round pick Marcus Hardison off waivers from the Houston Texans. The defensive tackle was initially drafted by the Cincinnati Bengals. As the same time, the Bolts announced that they waived/injured OT Zach Crabtree. August 22 - A veteran running back has been added into the mix as the Chargers signed former Pittsburgh Steeler Terrell Watson. 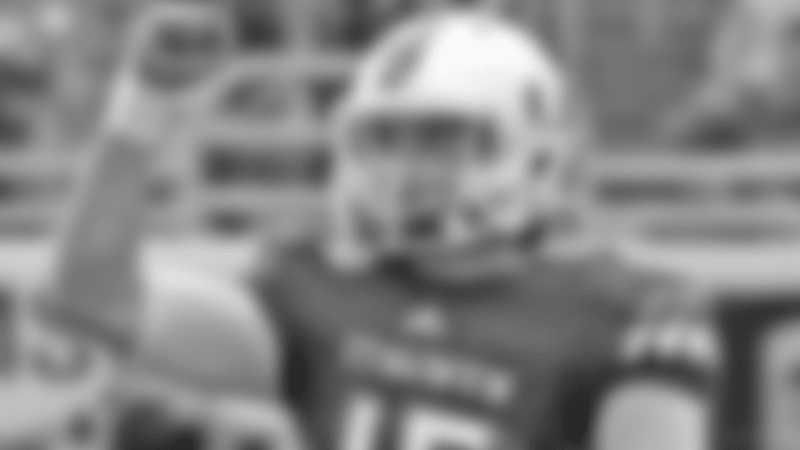 He appeared in 10 games a year ago, also serving as the team's kickoff returner. In a corresponding move, the team announced that LB James Onwualu was waived/injured. August 19 - Versatile DB Jaylen Watkins has been lost for the season after suffering an ACL injury in the second preseason game against the Seattle Seahawks. The former Eagle was signed to a one-year deal in late March. The Bolts officially placed Watkins on IR Sunday while announcing they claimed safety Micah Hanneman off waivers from the Cleveland Browns. August 14 - The Chargers made a transaction for the second straight day, bringing back linebacker Kyle Coleman, who appeared in three preseason games a year ago for the Bolts. The team waived DL Albert Havili in a corresponding move. August 13 - A new tight end is now in the mix as the Chargers claimed Je'Ron Hamm off waivers from the Seattle Seahawks. He has appeared in six career games for the Washington Redskins and San Francisco 49ers. To make room, the team waived WR Marcus Peterson. In addition, L.A. activated G Forrest Lamp of the PUP list and G/T Brett Boyko off NFI. August 2 - The Bolts announced several transactions before taking the field for training camp. Most notably, the team placed Jason Verrett on the Reserve/Injured list after the cornerback tore his ACL during Friday's conditioning test. TE Austin Roberts was also placed on IR with a knee injury. Taking their place on the roster are WR Marcus Peterson and CB Chandler Stribling. July 29 - Oklahoma guard Erick Wren practiced for three days with L.A. as a non-contract participant in the team's rookie minicamp back in May. Fast forward nearly three months and the Chargers inked Wren to a contract on the second day of minicamp. July 27 - The Bolts placed Jason Verrett, Forrest Lamp and Hunter Henry on Active/PUP, and Derwin James and Brett Boyko on Active/NFI lists prior to the start of training camp. Verrett was placed on Active/PUP after tearing his Achilles tendon earlier in the day during the team's conditioning run. July 25 - The Chargers' roster now stands at 89 as the Bolts waived former seventh-round pick Donavon Clark a few days before the start of training camp. The 224th overall pick out of Michigan State in the 2016 NFL Draft suffered an ACL injury in each of the past two seasons, spending both years on the Reserve/Injured list. June 1 - Derwin James put pen to paper on Friday, bringing the entire 2018 draft class under contract. The versatile safety inked a four-year deal that will keep him donning the lightning bolt through at least the 2021 season. May 30 - With Hunter Henry suffering a significant ACL injury, the Bolts added depth to the tight end position by signing UCLA product Austin Roberts. The 6-2, 230-pounder is most known for his pass-catching ability. To make room, the Chargers waived long snaper Anthony Kukwa. May 14 - Following the team's three-day rookie minicamp, the Chargers signed a pair of players who were non-contract participants in DE Patrick Afriyie and WR Justice Liggins. Meanwhile, the Bolts signed former Rams WR Nelson Spruce in the afternoon. May 12 - Another member of the draft class inked their contract as DT Justin Jones signed a four-year deal. May 11 - The Chargers inked five members of their draft class shortly before the start of rookie minicamp as RB Justin Jackson, WR Dylan Cantrell, G/C Scott Quessenberry, LB Kyzir White and LB Uchenna Nwosu put pen to paper. Meanwhile, the team signed the following undrafted free agents: CB Tony Brown, DB B.J. Clay, T Zachary Crabtree, T Chris Durant, CB Marcus Edmond, CB Brandon Facyson, G Zach Golditch, DE Albert Havili, P Shane Tripucka, QB Nic Shimonek, G Trent Scott, DT Steven Richardson, RB Detrez Newsome, FB Anthony Manzo-Lewis, WR J.J. Jones, TE Ben Johnson, TE Cole Hunt, LB D'Juan Hines and NT Bijhon Jackson. April 28 - Day three of the NFL Draft saw the Bolts add a quartet of players. In the fourth round, the Chargers selected West Virginia's Kyzir White, who will transition to linebacker after playing safety in college. Guard/Center Scott Quessenberry was selected in the fifth round. The UCLA product is actually a lifelong Chargers fan. Finally, the team drafted WR Dylan Cantrell in the sixth round and RB Justin Jackson in the seventh. April 27 - It was all defense on Friday as the Chargers addressed that side of the ball with both picks on day two. In the second round, the team selected USC linebacker Uchenna Nwosu while their third-round pick was spent on N.C. State defensive tackle Justin Jones. April 26 - The Bolts began the draft in as good a fashion as one could hope, landing what's being called the steal of the first round in safety Derwin James. Projected to be a top 10 pick, the Florida State product fell to the 17th overall pick. April 24 - Linebacker Charmeachealle Moore was waived by the Bolts on Tuesday. 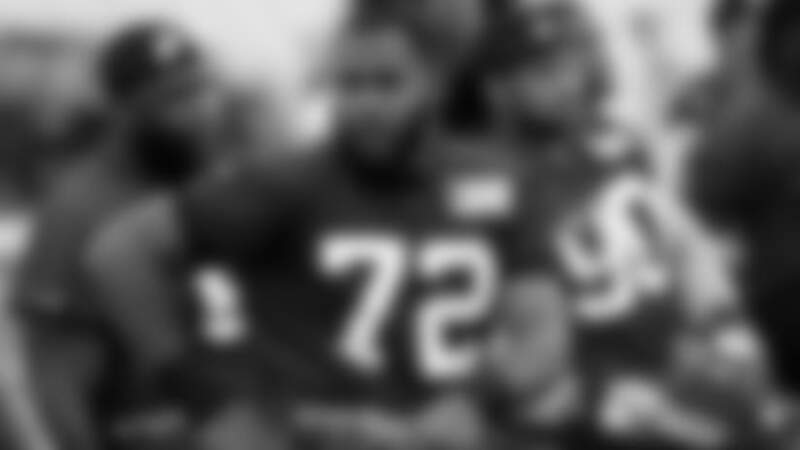 The former undrafted rookie free agent never played in a regular season game in 2017 as he spent the season on the Reserve/Injured list. April 23 - Tyrell Williams is officially back in the fold as he signed his restricted free agent tender. The Chargers previously tagged the wide receiver with a second-round tender in mid-March. April 13 – The Chargers waived running back Kenneth Farrow and kicker Nick Rose. Farrow never saw regular season action in 2017 as he was placed on the Reserve/Injured list in September. Rose played the Bolts’ final three games of the 2017 season and was one-for-three in field goal attempts. April 1 - The Bolts added a new quarterback to the mix on Easter Sunday, agreeing to terms with veteran QB Geno Smith. Originally a second-round pick in 2013, Smith spent four years with the New York Jets before serving as Eli Manning's backup in 2017. The newest Charger has a history with Head Coach Anthony Lynn as the two were together from 2013-14 with the Jets. March 30 - Another playmaker is joining the secondary as the team announced they've agreed to terms on a one-year contract with defensive back Jaylen Watkins. A four-year member of the Philadelphia Eagles, Watkins was a key contributor for the reigning Super Bowl champions. He's also capable of playing safety or cornerback. March 19 - One of the game's top centers is heading to L.A. as former Dolphin Mike Pouncey agreed to a two-year contract with the Chargers on Monday. A three-time Pro Bowler from 2013-15, Pouncey brings a nastiness and edge to the team's offensive line. March 16 - The Bolts vowed to improve their kicking game in 2018, and they took a major step forward in that direction Friday by signing K Caleb Sturgis to a two-year deal. The former fifth-round pick has improved his accuracy each season, and boasts a booming leg with a career-long of 55 yards. March 15 - After agreeing to terms 24 hours prior, TE Virgil Green put pen to paper on his three-year contract. March 14 - Mere hours before the start of free agency, the Chargers announced they reached a two-year deal with T Michael Schofield. The veteran joined the Bolts days prior to the start of the 2017 campaign, providing invaluable depth along the offensive line. Schofield appeared in 15 games while starting five games. Once the new league year commenced, the Chargers announced they agreed to terms on a three-year deal with rugged veteran TE Virgil Green. The former Bronco is most known for his blocking prowess. In addition, the team offered tenders to WR Tyrell Williams and DE Chris McCain, while agreed to terms on a one-year contract with versatile safety Adrian Phillips. March 12 - Two pending restricted free agents put pen to paper before the start of the new league year as the Bolts locked up LB Nick Dzubnar and WR Geremy Davis. March 11 - One of the best cornerbacks in the NFL will remain a Bolt for the foreseeable future as the team agreed to terms on a contract extension with Casey Hayward. "Showcase" has been a Pro Bowl pick and Second-Team All-Pro selection in each of his two seasons with the Chargers. January 4 - For the third time in four days, the Los Angeles Chargers signed a new player to a reserve/future contract. On Thursday, the team announced they inked long snapper Anthony Kukwa. A 6-2, 231-pound undrafted free agent a year ago out of Lake Erie, Kukwa spent part of the 2017 offseason with the Oakland Raiders. Kukwa transferred to Lake Erie after starting his collegiate career at Ball State. January 2 - One day after making their first player moves of 2018, the Bolts signed three more players to reserve/future contracts. Each player inked on Tuesday spent the entire campaign on the team's practice squad a year ago, including WR Artavis Scott, WR Andre Patton and CB Jeff Richards. January 1 - The Chargers rang in the new year by inking six players to reserve/future contracts. All six spent time on the team's practice squad in 2017, including TE Braedon Bowman, G Brett Boyko, S A.J. Hendy, OLB James Onwualu, DE Whitney Richardson, C Cole Toner. Players who were not on an active roster at the end of the season are eligible to sign a reserve/future contract, and revert to the active roster at the start of the new league year.